Every year we hold an Awards Banquet to recognize winners from the Zone Concours, Autocross, and Rallye competition series. This event, which is held at the end of the season recent years, is a fun way to recognize those people who support all of the regions in Zone 7, and who make the zone so successful. The Enthusiast of the Year is awarded to an individual who, through participation in PCA and Zone 7, show a love for the marquee and zeal for the club. Some would call these individuals “crazies”. In particular, we look for a strong supporter of the Zone activities, and through whose interest inspires other to participate as well. Enthusiasts are the lifeblood of our organization; without them we would not have the high quality events we often taken for granted. 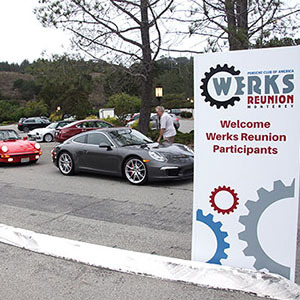 Wall of Fame In January 2003, the Zone 7 Presidents approved a new award to recognize those members of PCA Zone 7 who have made a significant, lasting contribution to PCA and/or the Porsche community at large, through active participation in social, technical, or competitive events. This special award will be known as the “Zone 7 Wall of Fame”. This “wall of fame” is intended to honor those individuals showing a long-time passion towards the marque, displaying that passion and distinguishing themselves in some visible manner for a significant time. Although PCA and Zone 7 membership is a requirement of this award, the activities demonstrated by the recipients can be outside of PCA (i.e. racing in recognized competition series, etc.). This award is our way of recognizing PCA members that have distinguished themselves in the “outside world”. The recipients also should have demonstrated a recognition and appreciation for PCA and its fundamental philosophy “it’s not just the cars, it’s the people”. The Wall of Fame will consist of a perpetual plaque maintained by the Zone Representative as well as an appropriate personalized plaque bearing the Zone 7 logo for each awardee. Consideration for membership “on the Wall” will require nomination from a Zone 7 member in good standing. 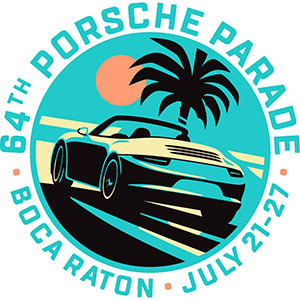 Nominations must be forwarded to the Zone 7 Representative no later than November 1 of each year, and should include the nominee’s name as well as a brief history chronicling his or her involvement in Zone 7 or member regions, as well as his/her contributions to PCA and the Porsche community at large. The region presidents will consider all nominations. Awardees will be announced and presented by the nominating member at the annual awards banquet.